Unlike UK ‘night birds’ – owls and nightjars, which come out at dawn and dusk, these species in Australia are strictly nocturnal. 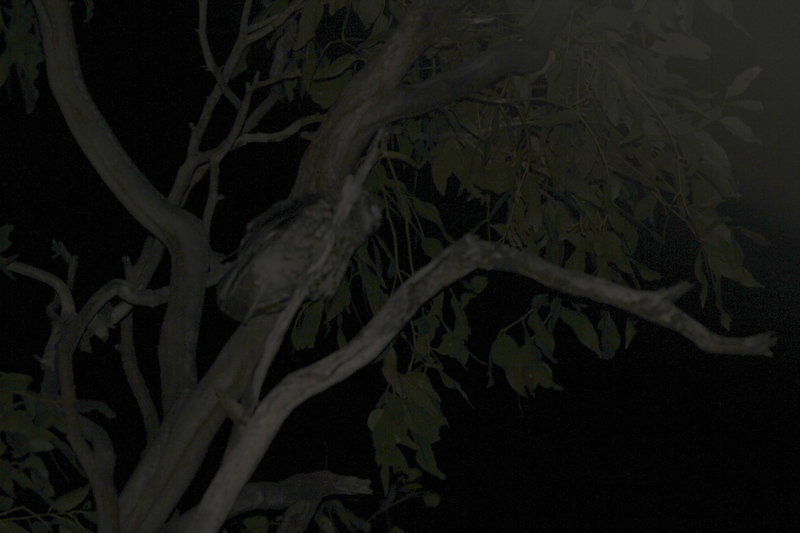 So after several fruitless night walks, yesterday we managed to catch up with two night time ‘ticks’, Australian Owlet Nightjar and Southern Boobook. The price we paid for this success however was to be eaten alive by mosquitos – despite wearing long pants, sweaters, hats and being dosed with liberal quantities of repellent! 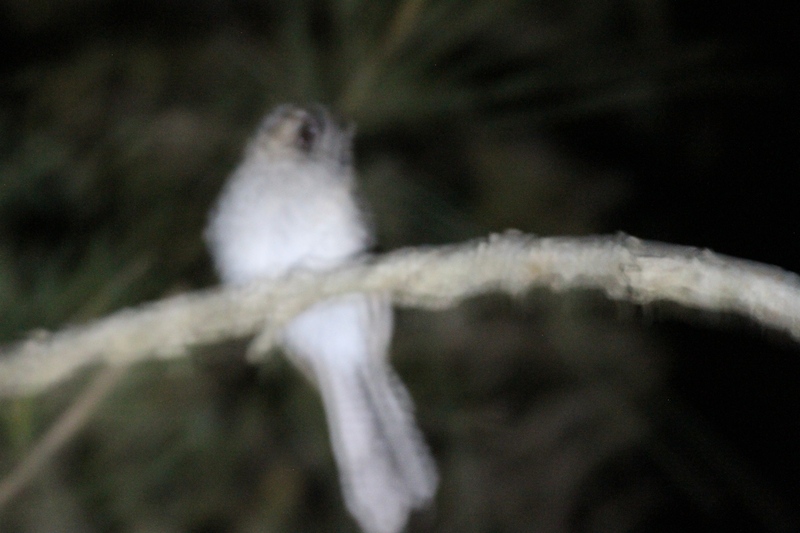 Under these rather testing circumstances it’s not surprising that the photos are rather poor – just about good enough to get an overall impression of the birds. Australian Owlet Nightjar, just about twenty centimetres long – half of which is made up for by it’s tail. A common and well distributed species but, lacking an ‘eye shine’, very difficult to see in heavily forested areas. Two down and about another half dozen to go, with more ‘night terrors’ to face in the process – better send for another tub of bite cream I guess!